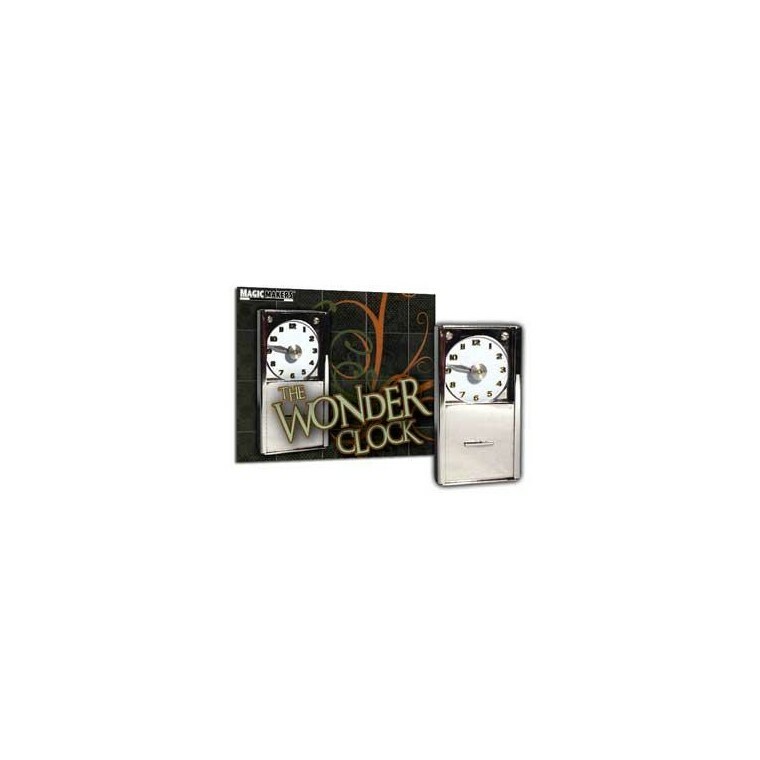 A door is slid open revealing a clock face and small dial. Attached to the dial is a knob that allows the dial to be set to any of the hours on the clock face. 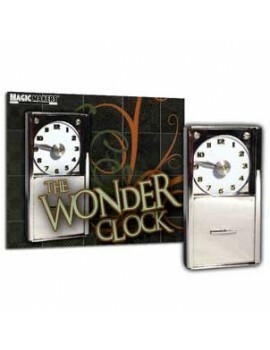 Have a spectator turn the dial to any hour and close the door to completely cover the clock face. Reveal the selected time without having to see the clock face! Hand crafted, limited production piece. 2.25 in. x 1.00 in. x 0.5 in. Sits nicely in the palm of your hand.